Renaming roads and public places can be a politically polarising process, especially in places such as Durban where perfectly good old names such as Point Road are now Che Guevara Road, and where you can have a significant street named after your inept son with an appropriate donation to The Party. 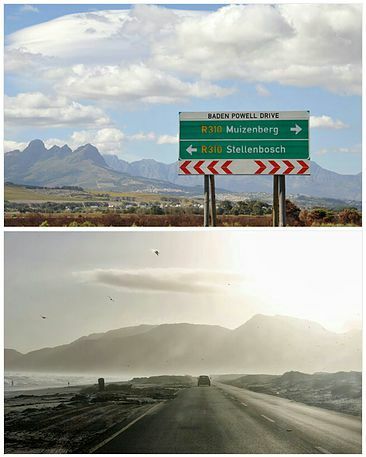 So what a fresh breeze it is that – once again – Cape Town shows how it should be done. Offensive names of old apartheid-regime ogres are giving way to the likes of Nelson Mandela and Helen Suzmann Boulevards – both widely celebrated heroes of democracy in South Africa. Some less well understood changes include the renaming of Lansdowne to Imam Haron Road. Turns out he was first citizen of the Lansdowne/Claremont community to be tortured to death in police custody in 1969 for the simple act of speaking out against the removal of Cape Town’s coloured people from areas designated as “white only/net blankes”. Then there is the even less well understood plan to change the name of Baden Powell Drive – along the False Bay coast from Muizenberg – to Dawid Stuurman Drive. Lord Baden Powell is best remembered for starting the Boy Scouts movement. He was also a British jingoist in the clique of Cecil John Rhodes. On the other hand Dawid Stuurman was a leader of the indigenous people who resisted land grabs on the Eastern Cape frontier which dispossessed the Khoi people of their ancestral lands and forced them into virtual slave labour on white settler farms. Stuurman was lured into a trap set by Graaff-Reinet Landrost (magistrate) Andries Stockenstroom, on orders from Cape Governor Lord Charles Somerset, to talk things over. He was then sent as a political prisoner to Robben Island. When he escaped from The Island (as we call it), he was sent as a convict to Australia where he was imprisoned and where he died. Personally, I would rather the scenic drive along the False Bay coast celebrated David Stuurman than a stuffy British colonial any day.